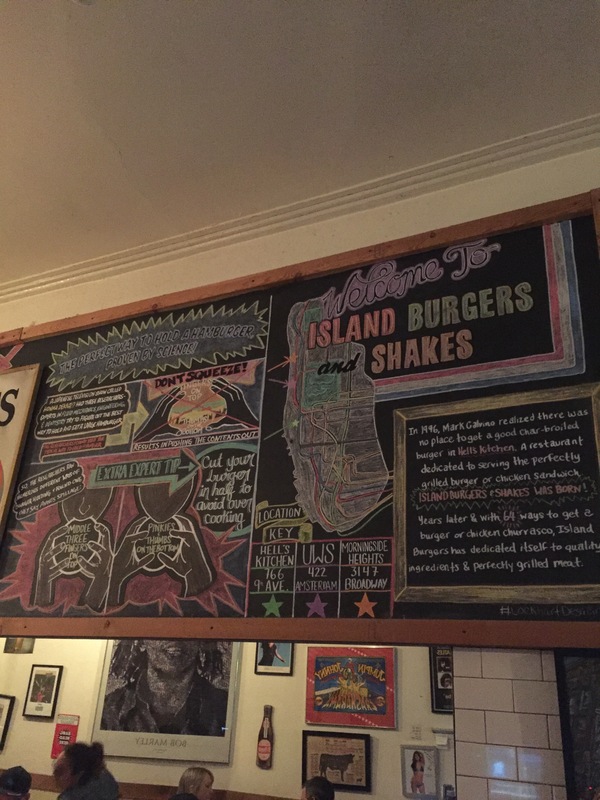 If you love unique burgers, Island Burgers and Shakes needs to be your next stop when you get a craving! 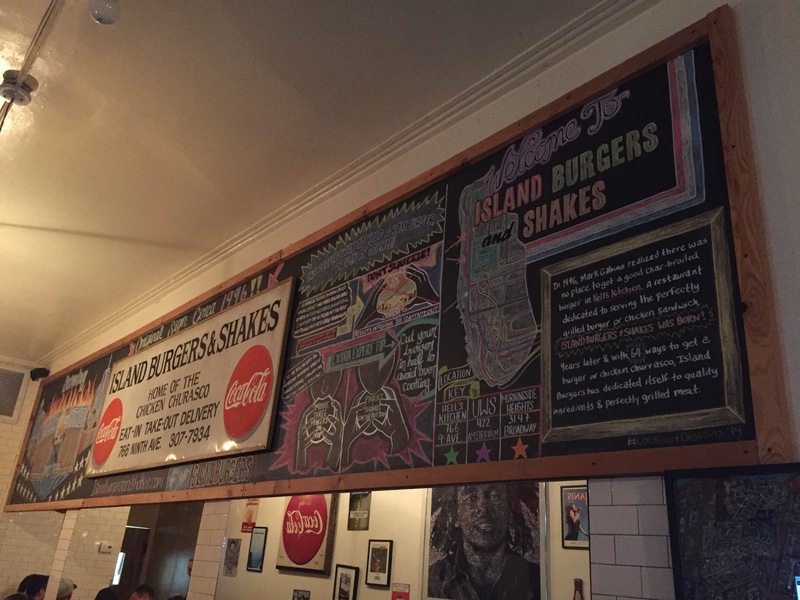 Located among hundreds of restaurants in the heart of Hell’s Kitchen, this burger joint can be easy to miss. After one burger here, you’ll wonder how you’ve survived without it! 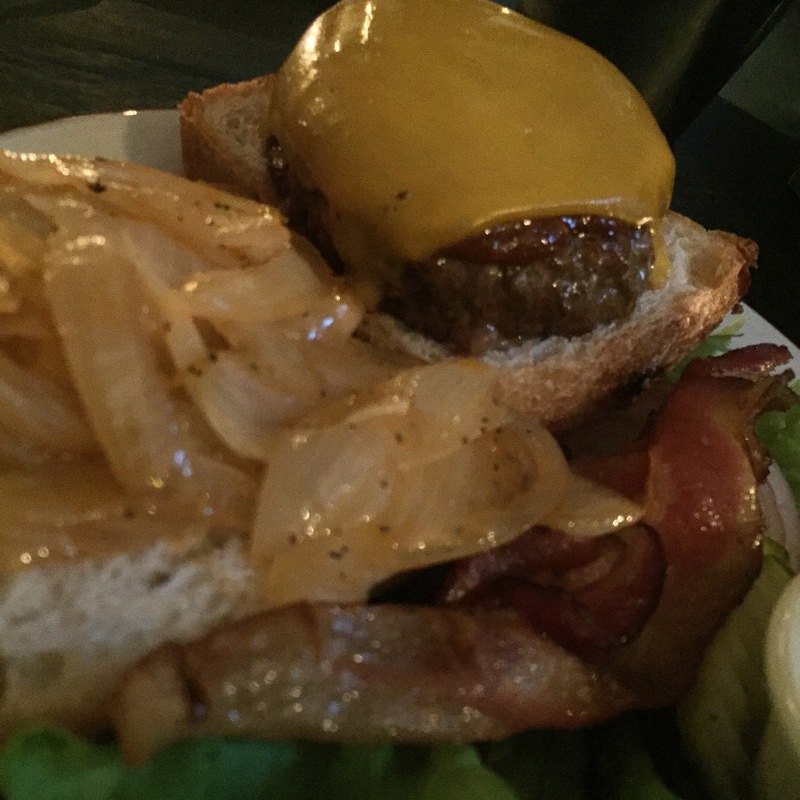 The burgers are HUGE, juicy and cooked just right. The variety, however, is what really sold me. 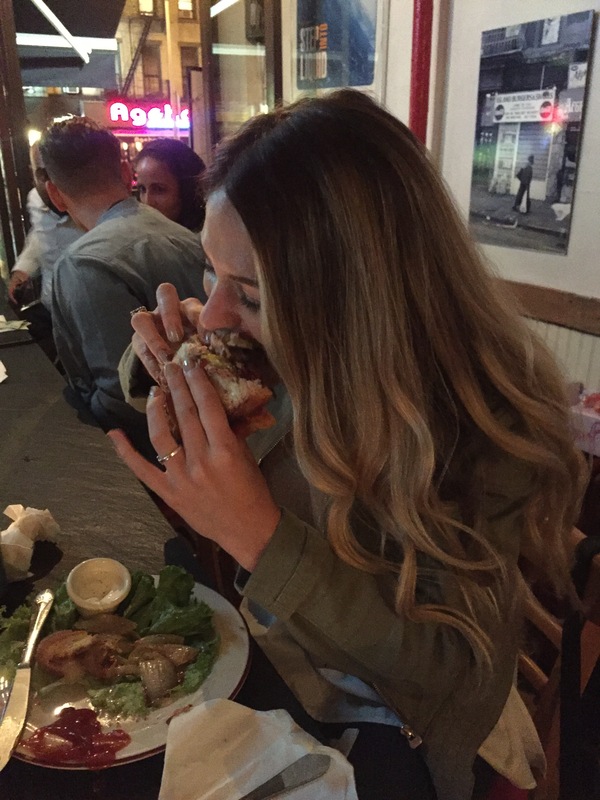 There’s a burger for you no matter what your palate preferences are. 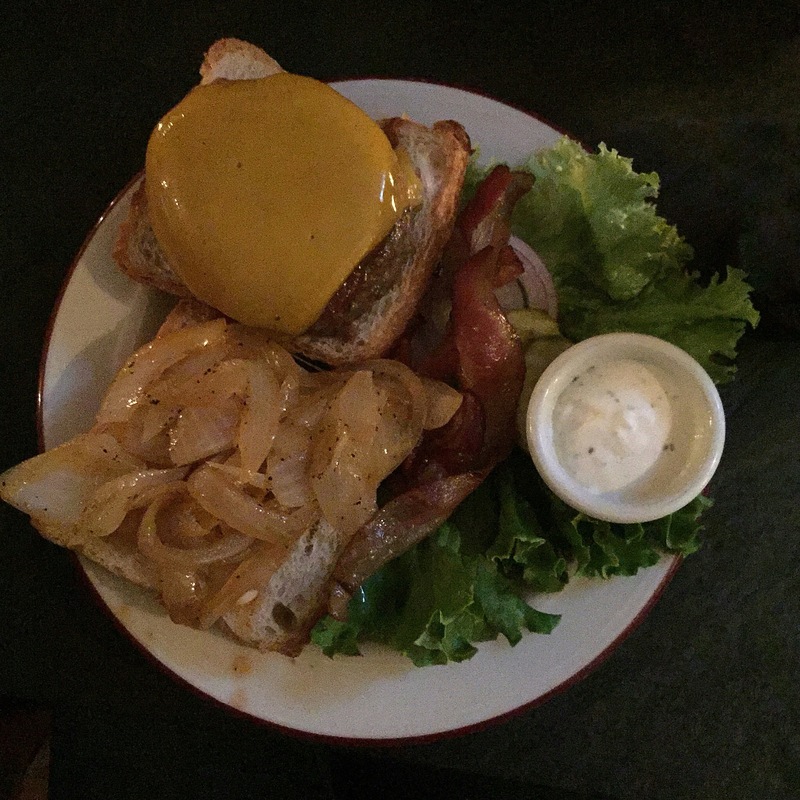 It took me SO long to decide, but I ended up with the Cowboy Burger, which was served on a Texas Toast bun, covered in cheese, sautéed onions and bacon. Ben went with the Acapulco burger, which was covered in guac. They were AMAZING. Jam packed with flavor. They were definitely a little hard to eat considering they were so big, but is that even a real complaint?! I think not. The pics are quite blurry as I didn’t want to turn the flash on at the restaurant. It’s really small (but super cute!) inside, so I didn’t want to disturb my fellow diners!